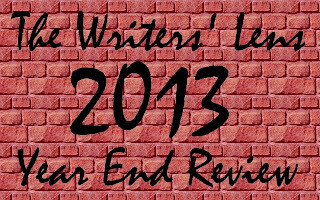 The Writers' Lens: The Writers' Lens 2013 Year End Review! 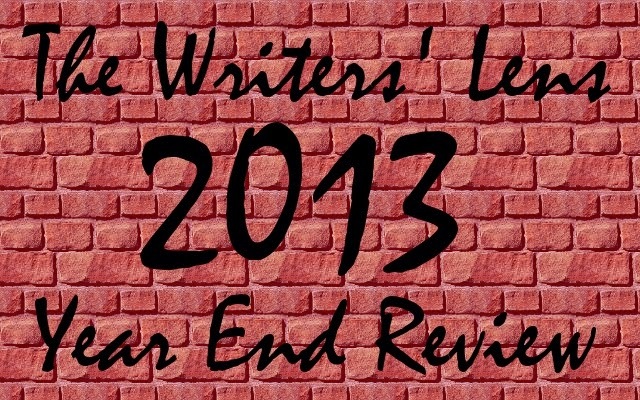 The Writers' Lens 2013 Year End Review! It’s been an exciting and successful year for The Writers’ Lens! Thank you to all of you who take a moment to stop by and read our posts! Don’t worry; in 2014 we’ll continue to bring writers a resource blog that provides advice along your publishing path. This year went the same as last year in terms of readership – TW Fendley wins again with the most page views! Here they are – the most viewed stories of 2013! 5 – St. Louis Writers Guild Write-ins To Celebrate NaNoWriMo! I was just going to run with a Top 5 but this was too close not to include it! All of our top stories make sense; the winner for 2013 was a great workshop with several publishers about understanding your options. The next two are posts about marketing something all writers must master. The fourth most viewed post also contained the most comments of the year. Linda Houle’s passing affected a number of writers around the world and it is no surprise that TW Fendley’s touching tribute would be on this list. St. Louis Writers Guild NaNoWriMo Write-ins ended off the Top 5, and with hundreds of thousands of writers participating every year, it’s easy to understand how it made the cut. However, I felt the need to mention one more. David Lucas has been writing a series of articles on fight scenes and this one just missed the Top 5 by a few clicks, and The Third Person is the most read post in the series. Next week I’ll post each of our Top 3 stories of the year, and the stories maybe you missed from 2013! 2014 is looking like another great year we hope you’ll continue to join us! The Writers’ Lens, founded in 2011, is a resource blog for writers. Founding contributors TW Fendley, David Lucas, and Brad R. Cook are committed to Bringing Fiction Into Focus!